There’s nothing worse than being in the middle of an intense gaming or spreadsheet-wrangling session and a power outage kills it. One way to avoid a sudden power demise is to get an uninterruptible power supply (UPS) for when tragedy strikes. Today, B&H Photo is selling the 255 watt (450 volt) output APC Back-UPS BN450M for $35Remove non-product link when you click the Clip Coupon button on the sale page. That’s $10 off its MSRP. The sale ends on Friday, October 12 at 6:15 PM Eastern. 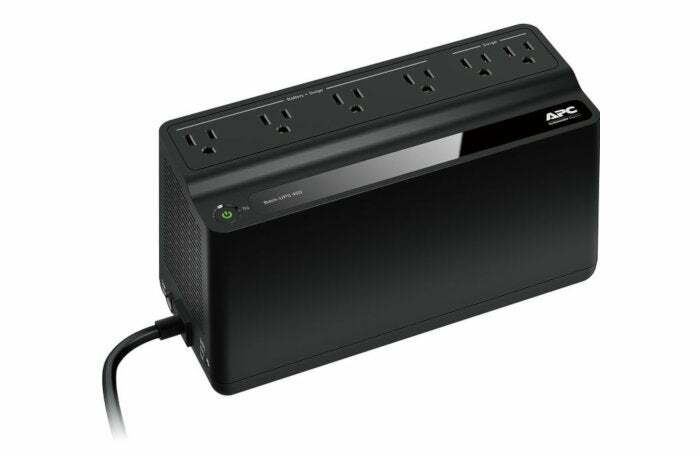 This surge protector has six outlets, which should be plenty for your PC, printer (yes, we all still have one, don’t lie), sound system, and whatever else you’ve got lying around your computer desk. All six outlets protect against power surges but only four tap into the UPS battery. You’ll want to make sure your PC is plugged into one of those when the power goes out. For those with more discerning power supply tastes, this UPS delivers square waveform power, not the more succulent pure sine waves that connoisseurs look for. 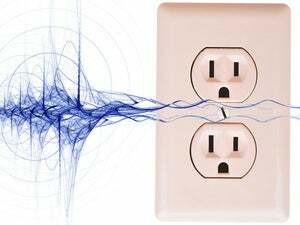 For the rest of us, what it boils down to is that square waveform power could cause transition problems for particularly sensitive equipment when going from wall to battery power. But a sine wave UPS costs much, much more—well over $100 in most cases. As for battery life, that really depends on what you’re running. Therefore, it’s hard to say how long the UPS will last. If your load is around 10 watts, APC says the battery will last around three and a half hours. If the load is 50 watts you’re looking at 37 minutes, and a 100 watt load will give you about 15 minutes of power. But uninterruptible power supplies aren’t really intended for long-term work; they’re better at letting you safely save your data and shut down properly when outages or surges strike.